An Ohio native and Vietnam Veteran, Dr. Charles R. Clegg received his undergraduate degree in Biology in 1972 from Youngstown State University. He further continued his studies at National College of Chiropractic in Lombard, Illinois earning a Doctorate of Chiropractic in 1977. In 1979, Dr. Clegg relocated his family to Virginia to open his practice in Leesburg, establishing himself as the second chiropractor in the county. 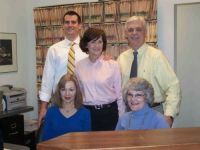 With years of experience, Dr. Clegg has had the opportunity to treat many patients with a wide variety of conditions. Applying his skills and extensive knowledge of musculo-skeletal disorders, he has earned the reputation of being an exemplary trusted doctor who is truly concerned for all under his care. Dr. Clegg has had the honor of being voted “BEST CHIROPRACTOR” for the last 14 years in The Leesburg Today annual survey. He is a member of the American Chiropractic Association and the Virginia Chiropractic Association. Dr. Bradley Clegg is a native of northern Virginia. Dr. Clegg attended Radford University and graduated with a Bachelor of Science degree with concentrations in biology and chemistry. He went on to receive a Doctorate of Chiropractic from the Palmer College of Chiropractic in Florida. 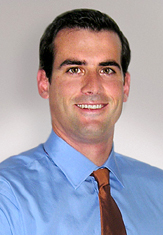 Dr. Clegg is nationally certified in chiropractic rehabilitation and physical therapy. Dr. Bradley Clegg works to restore the body to health naturally by improving the biomechanical function of the musculo-skeletal system and reducing nervous system interference. He combines hands-on techniques, rehabilitation procedures, exercise and nutritional advice to help his patients accelerate their journey to a lifetime of wellness and optimum health. Dr. Clegg is passionate about helping each of his patients relieve their painful symptoms as quickly as possible, and correct structural problems so they enjoy life to its fullest potential. 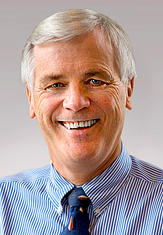 Dr. Keith Brassfield was born and raised in the Northern Virginia area. Dr. Brassfield grew up playing sports and became a competitive athlete experiencing the benefits of Chiropractic first hand. He went to Arizona State University where he played lacrosse and graduated with a Bachelor of Science degree in Kinesiology. Following graduation, he gained valuable clinical experience working under a Chiropractor as a Rehab Specialist. In 2011, he went on to attend Palmer Chiropractic College in Port Orange, Florida. During this time he expanded his knowledge while working with pediatric patients and sports athletes. Dr. Brassfield graduated with a Doctorate of Chiropractic and takes pleasure in finding the root cause of a patient’s health problem while administering care effectively to resolve the issue. Dr. Brassfield is passionate about addressing musculoskeletal issues, biomechanical function, and exercise protocols with each patient. He is excited to be back in Northern Virginia working at Clegg Chiropractic. He enjoys spending time outdoors, coaching youth lacrosse, and playing golf. Our friendly office invites you to come in and experience what chiropractic care can do for you. Our office is conveniently located in historic Leesburg on Loudoun Street, across the street from Mom’s Apple Pie.